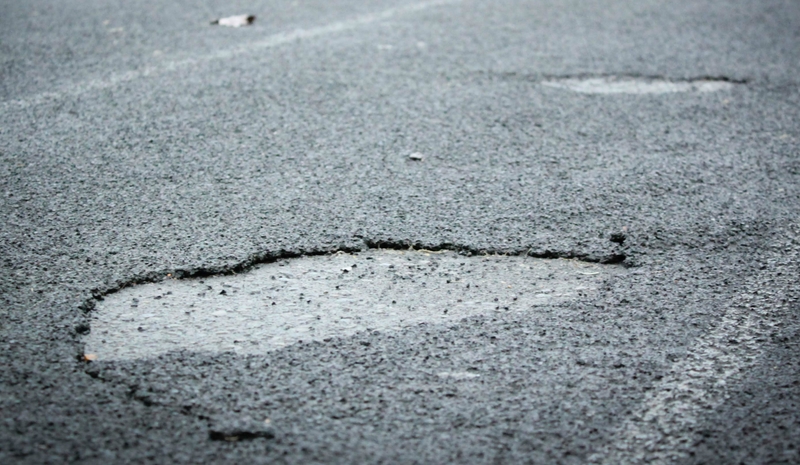 The State of Washington does not fund construction or major maintenance of public schools. To raise enough money for major capital construction projects, school districts must ask local voters to approve a capital bond. Local school levies, on the other hand, augment state funding and are used to support student programs. 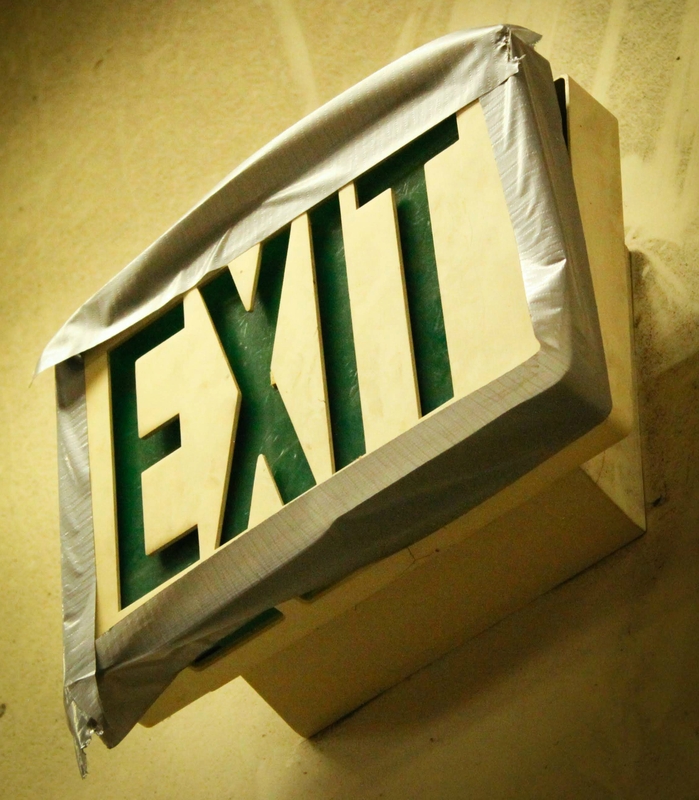 Before 2019, Local levies were called “Maintenance & Operations (M&O) Levies,” but because those funds were intended to maintain student programs not for facility maintenance, they were renamed “Enrichment Levies” to avoid confusion. 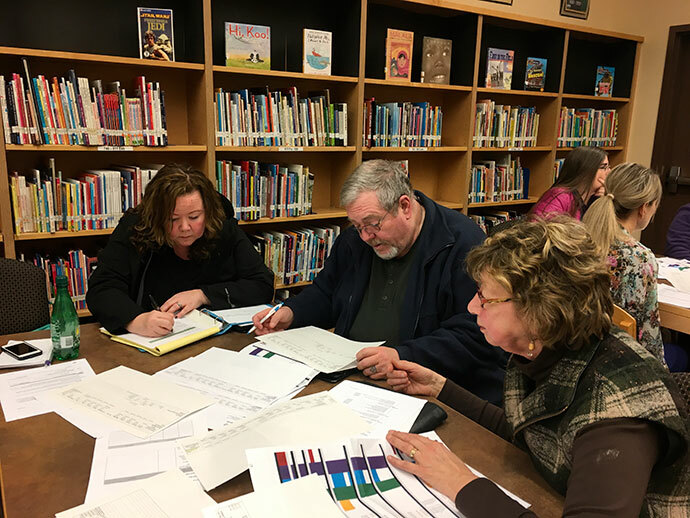 This bond plan is the result of five months of meetings and data collection by the 85+ community volunteers of the Bond Task Force from October 2017 to March 2018. 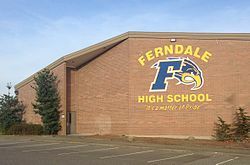 In the end, the Task Force decided the most effective, long-term use of taxpayer dollars would be to build a new, two-story high school rather than try to renovate all the old existing buildings that make up the current Ferndale High School campus. 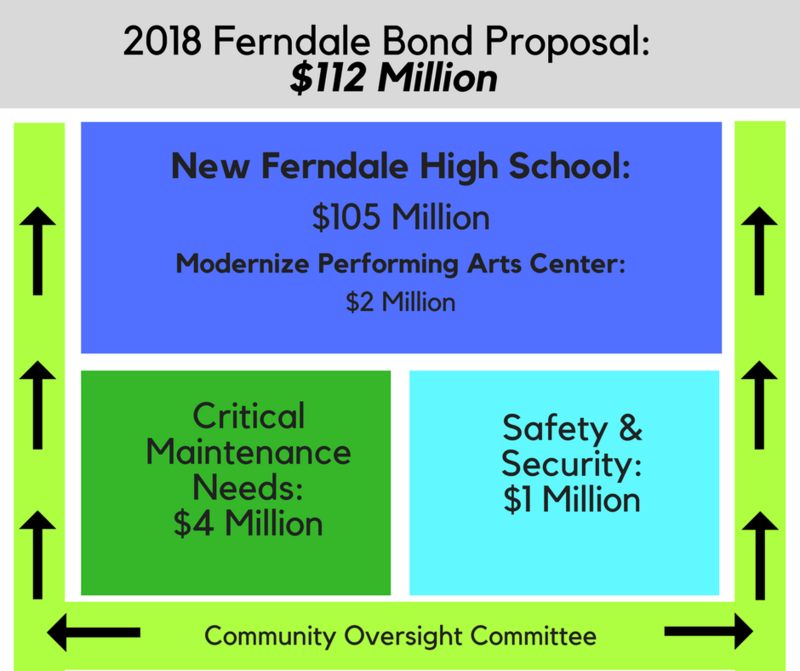 The Bond Task Force also determined that the new high school would have the highest funding priority as every child in the Ferndale School District will finish their education in that building. 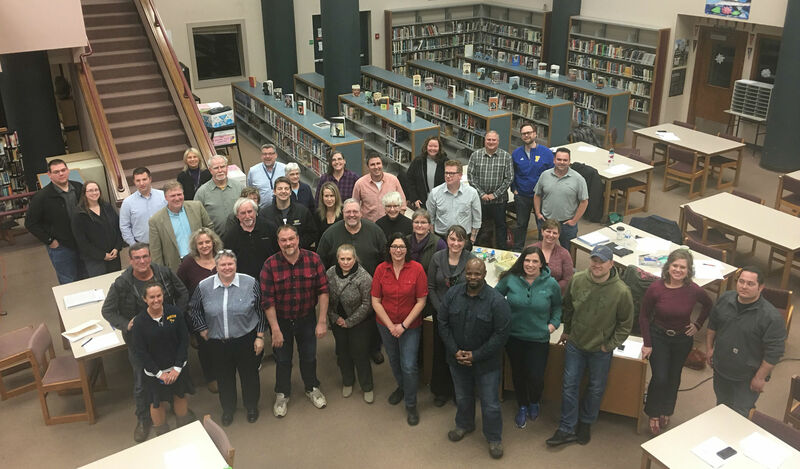 To give the community assurance that the $112 million is spent as the voters intend, the Bond Task Force recommended, and the School Board agreed, to create a seven-member Bond Community Oversight Committee to oversee all aspects of bond-related projects. The Oversight Committee was selected by Bond Task Force members in September 2018. Not only will the committee monitor bond-related spending, they will also keep the community informed as the school district implements the bond’s projects. You will start paying for this bond in 2020. 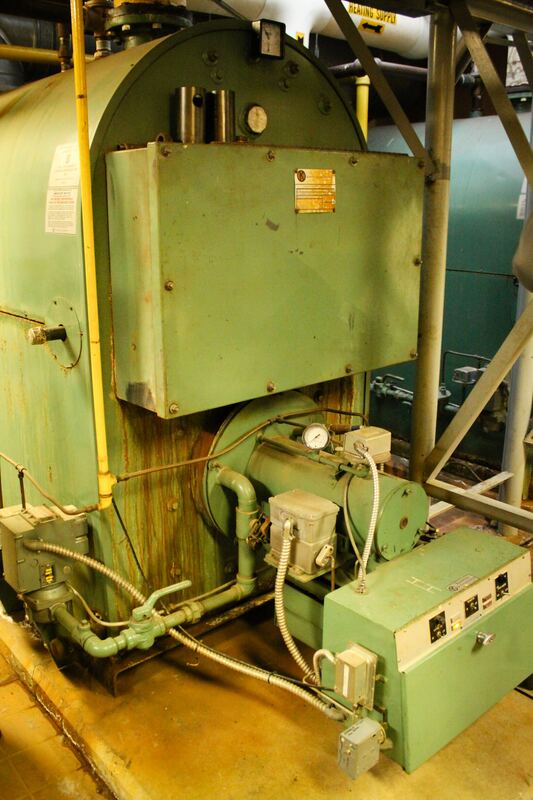 The bond’s initial rate is estimated at $0.92 per $1,000 of assessed property value, meaning the bond’s initial cost would be $92 per $100,000 of assessed value. As you can see in the table below, one of the school district’s goals is to maintain a fairly stable bond rate. From 2020 – 2022, the total bond rate (existing 2006 bond + new proposed bond) is estimated at $1.66 per $1,000 of assessed value. Once the 2006 bond expires in 2023, the rate is expected to remain at 1.66. To learn more about how bond rates are affected by changes in assessed property value, click here. Due to changes by the state legislature, education-related property taxes increased in 2018. But these same changes also mean our education-related taxes will significantly decrease in 2019 because our local education levy rate will drop from $3.48 to $1.50 per $1,000 of assessed value. This means we can pass the new bond and still pay lower education-related taxes in 2020 than in 2018. For example: In 2018, a property assessed at $350,000 paid $2,636 in education-related taxes, but in 2020 would pay an estimated amount of $2,236 (including the cost of the proposed bond). And even if that property’s assessed value increased to $400,000 in 2020, the owner would still pay less education-related property taxes in 2020 (estimated amount of $2,544, including the cost of the proposed bond) than they did in 2018. 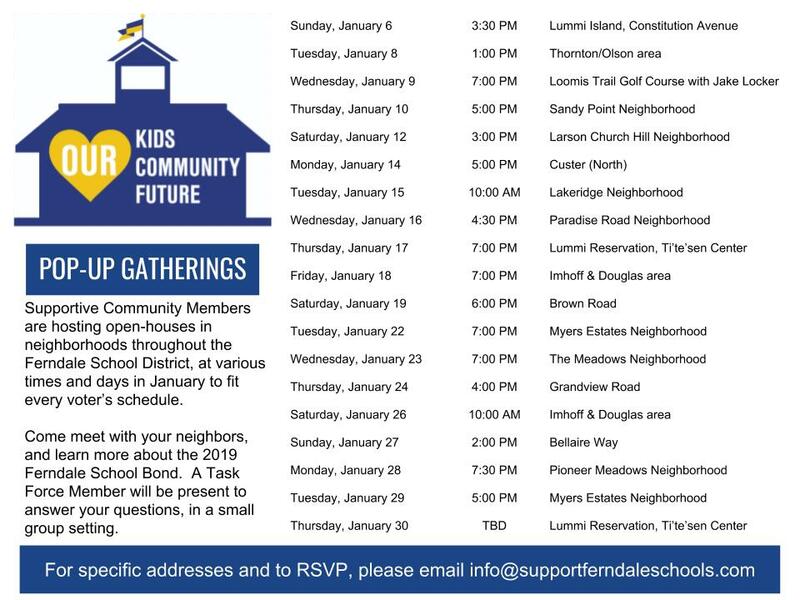 Visit the three sections below to learn more about the proposed New Ferndale High School, proposed Maintenance and Security Improvements, and find answers to your Property Tax Questions.